Monday Monday is a weekly update of interesting things from around the world of queer, but mostly in the BC Lower Mainland. It's Pride season and there's so much going on! Vancouver Bans Conversion Therapies. The big news of the week is that on June 6, Vancouver council voted unanimously for a prohibition bylaw that will prevent businesses, and religious groups, from offering conversion therapy, or the pseudoscientific attempt to change the sexual orientation of a person from homosexual or bisexual to heterosexual including services and or counselling. Ours is the first city in Canada to ban these forms of therapy. About that crosswalk - From Global news: Vancouver politicians want provincial funding, rules for rainbow crosswalks across B.C. Apparently it costs $10,000 to paint the crosswalks, which is done every other year. So $5,000 per year. I'm assuming this is comparable to painting bike lanes (green), handicap parking (blue), parking lines (yellow), bus lanes (red), salmon streams (orange) and I wonder if these are currently covered by provincial funding and rules? Free food, beverages, and a live band at Jim Deva Plaza June 15 11 am - 2 pm. Campaign Party for World Elder Abuse Awareness Day Organized by the West End Community Response Network. You're invited! The summer Pride calendar is filling up! This past week some of your favourites have announced their 2018 lineups. CruiseyT Celebrates 27 years of Pride Cruises with four great cruises Aug 3- 5. Celebrities has updated their 2018 This is Pride calendar with events from July 31 - August 4th. (We love this years poster designs, but their designs are always excellent). And Vancouver's Alternative Pride Festival 2018 August 1-6, promises full festival announcement including locations, events, and theme, charities and tickets June 15. All the Prides in BC - and there's a map! One of our favourite discoveries this week was the annual Georgia Straight listing LGBT in B.C. : Pride 2018 events across British Columbia. Fantastic resources, thanks GS! They also built this really neat Pride in BC Map using Google Maps. Check it out! New Pride Flag? Julia Feliz and Hayley Brown present their concept design for a more inclusive pride flag. From their website: This new Pride flag highlights the beginning of the LGBTQIA+ Pride Movement in the US by a Black Trans woman, Marsha P. Johnson. 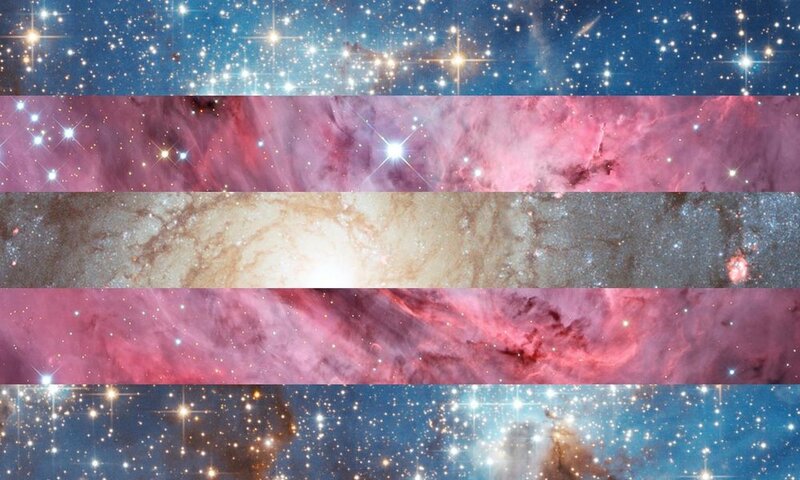 Looking for a galaxy of pride? 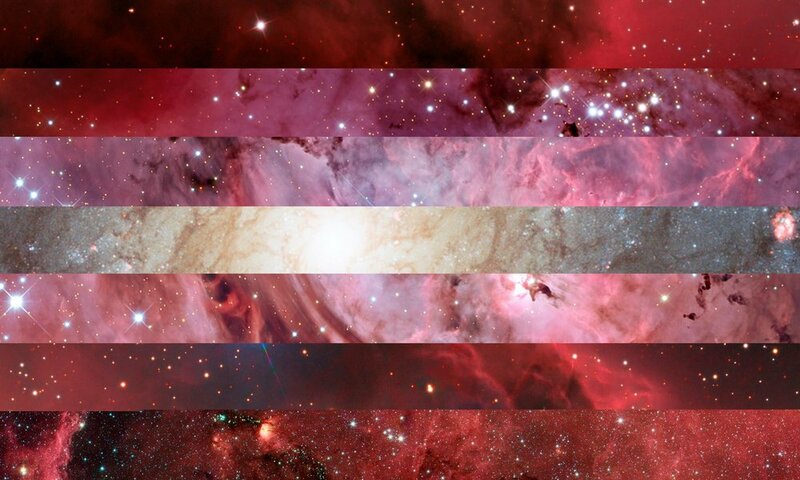 Artist Laurie Raye offers pride flags with galaxy colours FREE to everyone. Thanks Laurie! You can find dozens of queer events in the BC Lower Mainland on our calendar by clicking the button. Have a great week, see you next Monday!